In one of the first novels in the English language, we follow the picaresque adventures of Joseph Andrews, a virtuous young man who is keen to maintain his innocence despite being coerced by nearly every woman he encounters. I have never heard of this book until searching on this website. I found the story to be classic Thomas Hardy, even more lyrical and poetic then some of his other more famous works. As always, many twists and turns in the characters and experiences and a surprising ending. He introduces people and places through words, you can form an image of - the doctor, the yeoman, and his famous oral depiction of beautiful places, customs, and a common amiable village culture now lost in the mists of time. 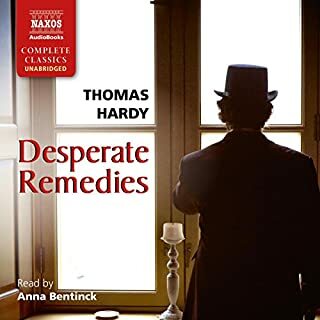 If you like Thomas Hardy, this is a definate listen. 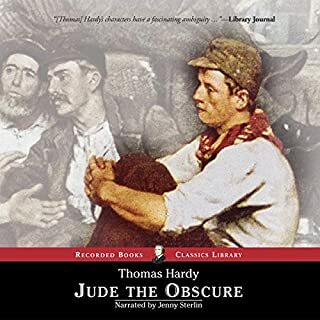 One of my favorite Hardy novels. Maybe, his best. Less preaching and display of erudition; more of a natural flow; wonderful characters, even when they are fulfilling "types;" great rustics.. Interesting, what I would call modern ending-but I won't spoil it. This is a mature writer who doesn't have to show-off or try too hard. The narrator is outstanding. Great pacing and vocal quality. Avoids overly affected female voices. Captures the poetry in Hardy's writing. Finally, why is Hardy still read when so many of the novels are sad or tragic-it's in the beauty of the language and the wisdom/truth of the speech. A book one can listen to repeatedly. This is one of Hardy's later novels (and #5 in my reading of Hardy), and in it he seems to revisit earlier themes and plot situations . . . as a result it didn't have the freshness for me that the others did. The characters felt more like archetypes and less like individuals, and I never felt particularly strongly about any of them. 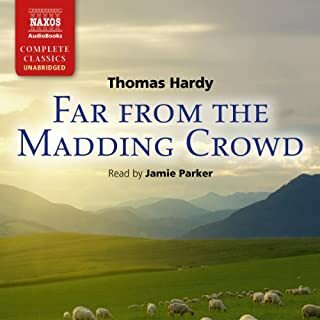 It seemed to me that Hardy set out the plot and started in on it without our really knowing the characters or having a chance to become invested in them. 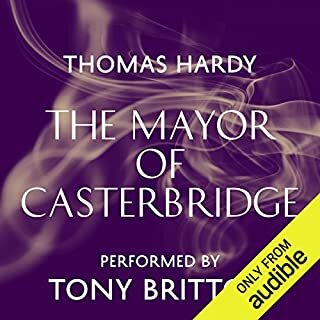 That said, still I was mesmerized by this audiobook, and I attribute that to Samuel West's narration and Hardy's writing. The writing is as skillful and beautiful as ever, and I floated along on its waves. West's narration is just marvelous. He gives mere suggestions of vocal character, rather than the fully-fleshed vocal portraits given by other narrators. I like both types of narration, and it was a nice change to listen to. His voice is simply gorgeous, very pleasant to listen to, and he gives an extremely nuanced and intelligent reading. The book did not resonate with me emotionally in the way that other Hardy novels have, but it's great writing, and well worth it. This was a fairly typical Hardy novel: misplaced affections, broken hearts, overindulgent parents, class divisions, long lost lovers reunited, hints of scandal, etc. There's a bit of Gabriel Oak in Giles Winterborne (and, for that matter, a bit of Bathsheba Everdene in Grace Melbury). Still, I enjoyed the novel, which I listened to on audio, read by the wonderful Samuel West. The secondary female characters--particularly the spunky and loyal Marty South, but also Felice Charmond and Suke Damson--give the novel an added charm, but the conflicted, rather immature, manipulating and rather easily manipulated Grace Melbury really just needed a good smack. The intricacy of woven words described scenes and characters and were strung into the rope of a memorable story, I loved it. It should never end but continue for centuries. I want more. What did you love best about The Woodlanders? The Woodlanders is an amazing story with so many thought provoking situations and issues concerning honor, honesty and forgiveness. How love can be selfish and selfless. The narration was excellent and the story hooked me from the beginning and I did not want to leave it until it finished. Gripping story. Beautiful & poetic language from Hardy.Samuel West was fabulous! Loved this audio book so much! A vivid, perfectly balanced narration of a beautiful & underrated story. I'd like to hear more classics by Samuel West. This is one of Hardy's finest novels–which means it is very fine indeed. The narration by Samuel West is just perfect. His measured approach captures the pace of old country life and of Hardy's ruminations. There is so much to relish here: the descriptions of nature; the subtle psychology; the excellent cast of characters. One virtue of the book that I especially noticed (and I've read it twice before, a long time ago) was the excellent plotting. One main thing I love about Thomas Hardy's books is that so much of the story happens outside - on the heath, in the woods, on the farm. The stories are very connected with the landscape, which is described beautifully. This is my first time reading this novel, which seems to be less famous than some, and I greatly enjoyed it. Thank you. This is the best book I have read for a long time. I was engrossed from start to finish. Hardy so cleverly develops the characters and relationships that you feel you know them and have a connection from early on in the book. What did you like most about The Woodlanders? As always with Hardy, its great to immerse yourself in the problems of a bucolic community- very different from out 'issues' these days. I had to review to recommend Samuel West's sensitive narration, which made the book for me. What other book might you compare The Woodlanders to, and why? I realised that my problems are small compared to the past. 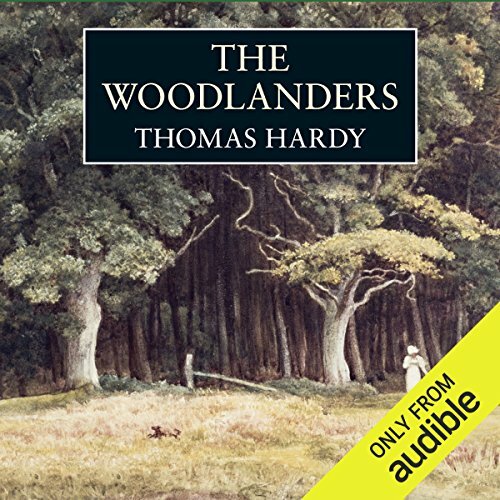 Where does The Woodlanders rank among all the audiobooks you’ve listened to so far? 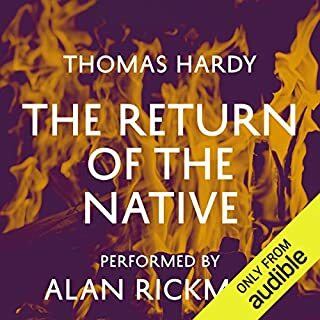 I think this is one of the best audiobooks I have listened to. It certainly ranks somewhere at the top. Hardy is a master of character. He paints wonderful images, portraying each person's hopes, aspirations and frailties and you find yourself sharing their pain and longing for a happy resolution to their predicaments. You see so clearly how behaviour was, and perhaps still is, constrained by protocol and the rules and norms of society. I also loved his descriptions of the woodlands and the natural world. It was surprisingly gripping. The book was beautifully narrated. Samuel West has a delightful voice and the accents given to the various characters were totally credible. I will look for other books read by him. Excellent. I just wonder how I can follow this. There is a loss now that it is ended. Great, a brilliant story with all drawn characters. A much overlooked Hardy novel. Nicely read. I really loved it. My favourite Book. Love Thomas Hardy. Narrator brings all the characters to life, and brings so much atmosphere to the Woodland. Very sad this book had to end. Very sad this book had to end. A master storyteller and a master narrator . 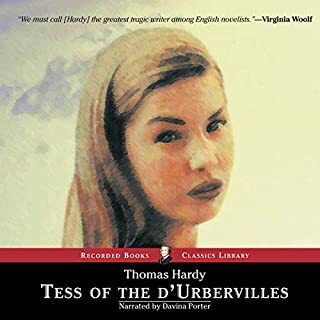 This is a highly underrated novel by Hardy that has wonderful characters brilliantly brought to life by the narrator. Really successfully creates a country feel with the accents used. Just brilliant. What made the experience of listening to The Woodlanders the most enjoyable? Thomas Hardy is one of the best British authors of all time. His pace, his language, his flawed characters - he paints a deep and abiding picture. A surprisingly modern tale in beautiful prose. What was one of the most memorable moments of The Woodlanders? The summer solstice nighttime party. And the hair. No, but he is great. No, I prefer to digest it as I go along, there is so much to take in. wonderful story and wonderful voice. Great book, but where do the chapters start/end? Wonderfully narrated. Chapters being actually chapters instead of hour-ish long blocks would be nice, though.